The Nokia event at the Mobile World Congress is about to kick off but before anything is officially announced we already have some pictures of a new Asha phone that is supposed to be unveiled today. There is no information available about the device, including its name, other than this image. The only bit of specs we can confirm from the image is a 5 megapixel rear facing camera and dual-SIM support. You can also see a transparent case for the device in some shots. 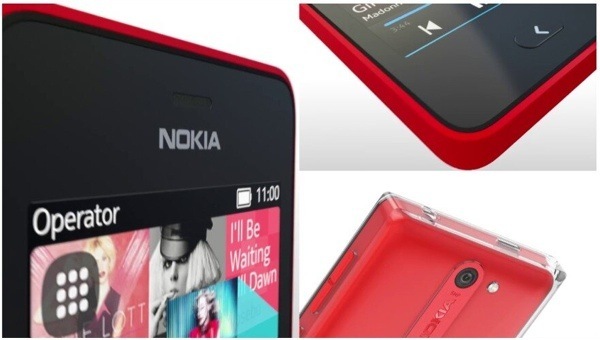 The phone has a new design that is a slight departure from previous Asha phones and is closer to the look of Nokia's Lumia phones. There is also a new dedicated back button below the display, which replaces the call and end keys on previous Asha phones. The event is about to start and we should be finding out more about this device and the leaked Lumia 520 and 720 we saw before quite soon. I want a smartphone from nokia which will have two os like(fire fox+windows). we require a decent phone wit document viewers. 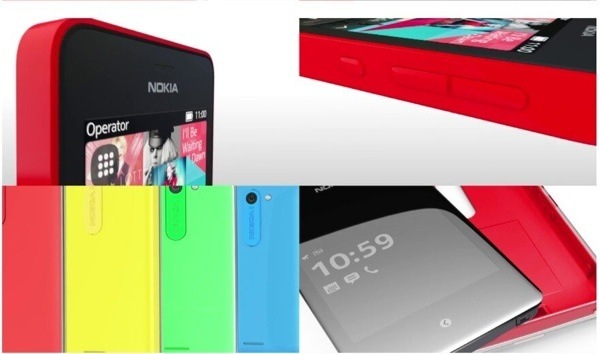 Pliz nokia make it decent.